For many stars of the games, it's time to temporarily switch attention away from the business of winning to the business of making money. Olympic stars who sparkled in London are raking in millions in an unusually active endorsement season, reaping the benefits as Americans show a hunger for heroes after five years of tough economic news. Sponsors appear to be paying extra this post-Olympic season compared to years past to sign golden names, such as gymnast Gabby Douglas, say endorsement experts, including Sheryl Shade, Douglas’ agent. The Olympic afterglow is reminiscent of the patriotic pride that flared following the 1980 gold medal win by the vastly overmatched U.S. men's hockey team. 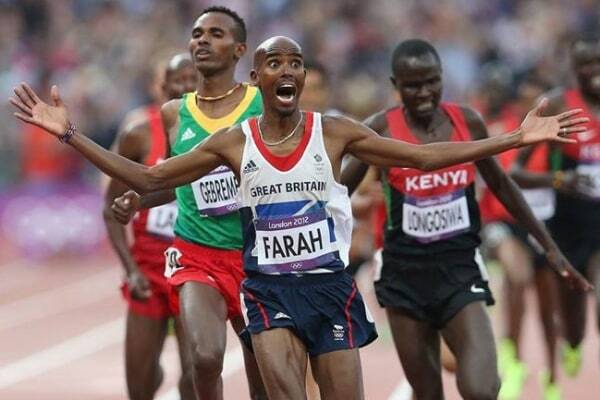 Americans dominated the London games with 104 medals including 46 gold, far more than China, the closest rival team. Quantifying the wave of endorsement deals is difficult without viewing and tallying each contract. But consider the reported pact Douglas recently signed with Kellogg’s, said to be worth $1 million to $3 million, and estimates that break-out swimming sensation Missy Franklin could have made $2.5 million a year had she not opted to eschew endorsements to maintain her eligibility for college sports. 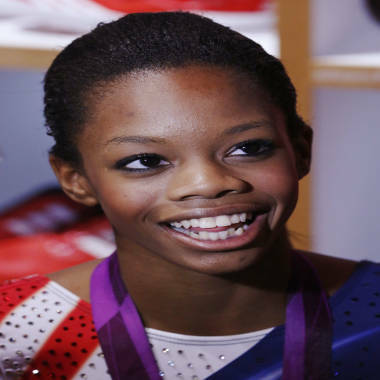 Gymnast Gabrielle Douglas is expected to earn millions in endorsement deals. “The desire for heroes – in the U.S. anyway – is as strong as it’s been in years,” said John A. Davis, author of “The Olympic Games Effect: How Sports Marketing Builds Strong Brands.” “At the risk of sounding overly philosophical, we tend to reach for mythical heroes when times are particularly challenging. While Olympic marketing insider Jan Katzoff said he, too, has seen “a slight uptick in endorsement money,” he ties that increase to a slowly rebounding economy, including stronger corporate earnings. Meanwhile, the U.S. Olympic Committee, which funds athlete training and coaching, has successfully renewed some sponsorship partners (24 Hour Fitness) and landed new ones (Chobani), creating an even taller stack of Olympic-minded business backers. At the quiet end of the revenue stream, quadruple-gold-medalist Missy Franklin has opted, so far, to stay out of the lucrative endorsement pool so she can swim for the NCAA school of her choice. Many Olympic medalists, of course, never get a whiff of endorsement gold, largely due to the lack of TV coverage for lesser-known sports. But one of the London Games’ most satellite-beamed stars, American swimmer Ryan Lochte -- who snagged two golds, two silvers and a bronze -– hasn’t yet cashed in on endorsements as heavily as some marketers had expected. Lochte does have existing sponsorship agreements with Gillette, Nissan, Ralph Lauren, Procter and Gamble, AT&T, Mutual of Omaha and Speedo. Fortune Magazine calculated his endorsement payout reached $2.3 million this past year. Yet some in the sports-marketing community say Lochte should be raking in millions more. When Lochte admitted to TODAY correspondent Ryan Seacrest that he occasionally pees in the pool, many marketers that had been considering the swimmer likely were relieved they had not signed him to an endorsement deal, experts said. The swimming phenom lived up to expectations in London, winning five Olympic medals and setting a new world record. She talks about the events to celebrate her homecoming, starting her senior year of high school, and whether she plans to go pro or go to college.